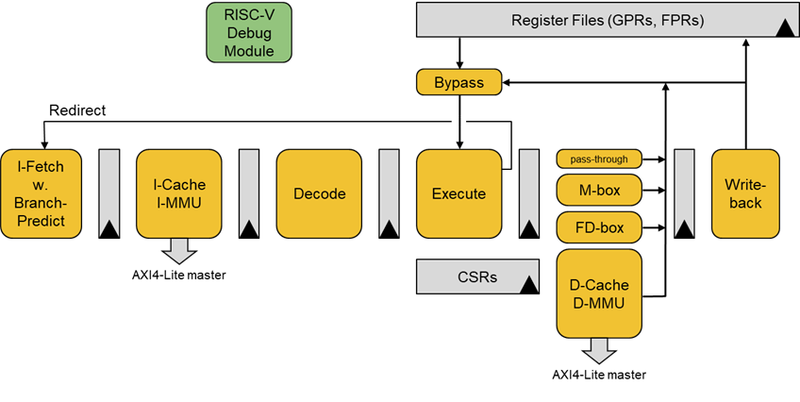 Flute is a free 5-stage plug-n-play RISC-V processor core delivering the key benefits of open source hardware. Free synthesizable Verilog saves considerable license and royalty fees. Optional maintenance and support eliminate the risk of using unsupported free IP. Freedom to customize and enhance RISC-V cores and subsystems enables better innovation, R&D and product differentiation. Freedom to pursue research and business independently of proprietary IP licensing and restrictions improves efficiency and flexibility.